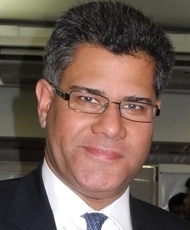 Alok Sharma has served as Conservative MP for Reading West since May 2010. Recently in the June 2017 General Election, Alok received 25,311 votes, which equaled a 48.9% plurality, retaining his seat. Alok Sharma was born in India but grew up in Reading. Alok is currently a governor of a local primary school in Reading and a keen supporter of local charities. He is also a Fellow of the Royal Society for the advancement of the Arts, Manufacturing and Commerce which, amongst its objectives, supports environmental initiatives which move us towards a zero-waste society. Previously he served as a chairman of the political think tank Bow Group's economic affairs committee and sat as a member of the Science and Technology Committee in 2010. Alok, a qualified chartered accountant, has a range of work experience from working on a factory production line, being a company auditor, tutoring university students, running a business and advising companies. Alok is married and lives in Caversham with his wife and two daughters.